-This innovative concept consists of hull and core where are held all 8 Steps of the work-flow which make the concept functional. The core has several gears and turbines which are responsible for these 8 steps (5 of them are dedicated to the turbo stages). The first step is fuel compression, followed by 2 cold turbo levels. The fourth step is where the fuel starts burning â€“ combustion stage, which creates thrust for the next, 5th step â€“ thrust step, which provides power to the planetary gears and turbines and moves the system. This step is followed by two hot turbo steps and the circle is enclosed by the final 8th step â€“ bigger turbine. 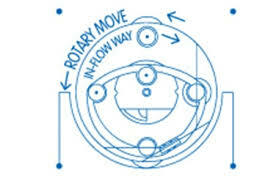 All this motion in a retrodynamic circumstance effect, wich is plus higher RPM speed by self motion. The Reaction at front of the action. -Combustion 2Two continue circular [Rockets] flames. [ying yang] opposite one to the other. â€“ With 2TWO very long distance INFLOW [inside propulsion] CONDUITS. -4 TURBOS Rotary Total Thrust-Power Regeneration Power System. -Mechanical direct 2two [Small] Planetary Gears at polar position. -Like the Ying Yang Symbol/Concept. Â·2-Imploturbocompressor; One Moving Part System Excellence Design - The InFlow Interaction comes from Macro-Flow and goes to Micro-Flow by Implossion - Only One Compression Step; Inflow, Compression and outflow at one simple circular dynamic motion Concept. *Â·â€œExcellence in Design" because is only one moving part. Only one unique compression step. Inflow and out flow at the same one system, This invention by its nature a logic and simple conception in the dynamics flow mechanics area. 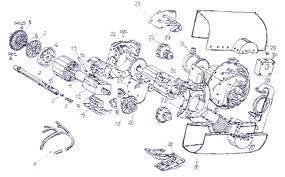 The invention is a wing made of one piece in a rotating motion, contained in a pair cavity system connected by implocavity, and interacting dynamically with a flow, that passes internally "Imploded" through its simple mechanism. This flow can be gas (air) or liquid (water). And have two different applications, in two different form-function; this one can be received (using the dynamic flow passage, as a receiver). Or it can be generated (with a power plant, generating a propulsion). In case the flow that is received is a water falling by gravity, and a dynamo is placed on the rotary bar, the Imploturbocompressor can profit an be obtained by generating? electricity such as obtained by the pelton well, like I say before. The "Imploturbocompressor", is a good option to pump water, or a gas flow, and all kinds of pipes lines dynamic moves. With the appropriate power plant and the appropriate dimensioning and number of RPM this invention is also feasible to generate an atmospheric air propulsion and the auto-propulsion of an aircraft. 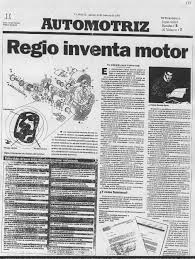 Being an effective and very simple system that implodes and compresses the atmospheric air permits the creation of a new concept of propulsion for aircrafts, due to its simple mechanism and innovative nature. At the place of the aircraft were the system appears and the manner how the propulsion direction can be oriented with a vectorial flow (no lobster tail) with I call "yo-yo system" (middle cut (at the shell) to move, one side loose), guided and balanced is feasible to create a new concept of TOVL-vertical take-off landing, Because the exhaust propulsion can going out radial in all the 360 vectorial positions, going out direct all the time in all the vectors direction. With his rotor cover for an better furtive fly, like going down of a bridge for example. Making a metaphoric comparison with the intention to expose it more clearly for a better comprehension of this innovative technical detail, it would be similar to the trajectory and motion of a dynamic flow compared with a rope (extended) that passes through the system would have now a knot (without obstructing the flow), so the complete way of the flow at the imploturbocompresor system have three direct ways and between make two different turns; direct way (entrance) - turn - direct way (implocavity) - turn - direct way (exit), all this in a 1 simple circular move system concept. 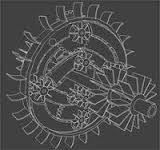 *State of the Art Novel InFlowTech; Â·1-Gearturbine-RotaryTurbo-Similar to Aeolipile 10-70 AD-Retrodynamic = Dextro RPM VS Levo InFlow + YingYang Way Power Type-Non Waste Looses / Â·2-Imploturbocompressor-One MovingPart System Excellence Design-One Compression Step-Similar to Hurricane Satellite View.